Martina completed a Bachelor of Science in Animal Biology in 2010. 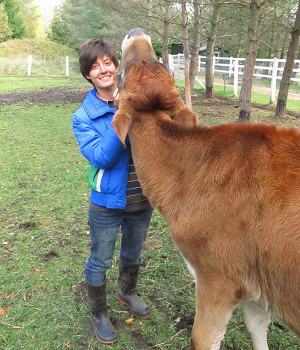 She has since spent time at farms, kennels and sanctuaries, and joined the Campus Estates team in 2015, alternating between the reception desk and behind the scenes as a veterinary assistant. She enjoys playing musical instruments, gardening, hiking, and spending time with family & friends, including her 10-year-old rabbit Scampi.